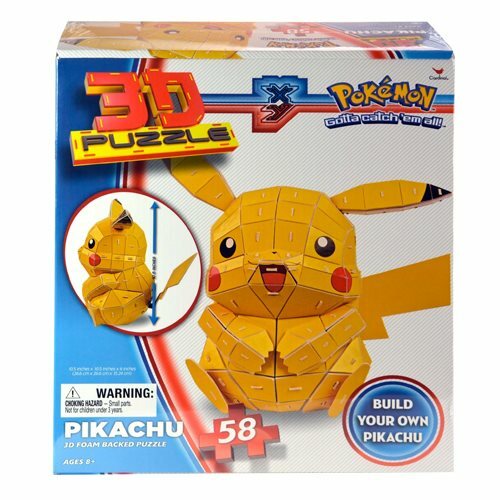 You'll have a blast assembling this Pokemon 3D Pikachu Puzzle. Give it a try! 58 pieces, measures 10 1/2-inches tall x 10 1/2-inches wide when complete. Ages 8 and up.